We've been drinking alcoholic beverages for 8,000 years. So isn't it time for some real innovation? People have been drinking wine for 8,000 years. Beer goes back 5,000 years. Distilled spirits, about 2,000 years. That’s 15,000 collective years of drink hacking, yet in 2015 we’re still finding new ways to improve the basic boozing experience. Beer pong was a bright idea, but the following seven gadgets speak to real innovation. They’re all imbued with clever engineering, and should appeal to the nerdier, geekier drinkers among us. Coravin is a must for anyone who’s serious about collecting—and drinking—wine. Using a medical grade needle, this “wine access” system lets you pour a glass of vino without ever disturbing the cork in any meaningful (let alone negative) way. The upshot is you can enjoy a glass of your most precious wine today, and then have a second glass six months from now. And then a third glass in 2017. And so on. The Coravin Model Two wine access system lets you drink a single bottle of wine over a number of years. Step One: Attach Coravin to your bottle (note: the system only works with natural corks). Step Two: Insert the needle, tilt the bottle over your glass as you would to pour normally, and press the trigger. This injects inert argon gas into the bottle, displacing the bottle’s oxygen, and forcing wine back through the needle, and into your glass. Step Three: Extract the needle. The cork reseals perfectly, ensuring the remaining wine never suffers oxidation. Argon for the win. 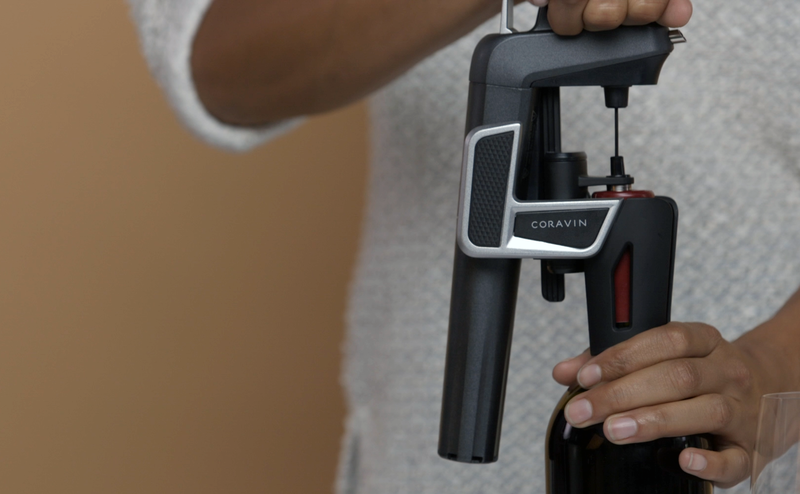 The $350 Coravin Model Two updates earlier versions by promising a more secure fit on bottles, as well as a 20 percent faster pour thanks to a new thin-wall needle. I’ve tested the system over the course of two months, and can testify it works as advertised. The oenophile elite swear by Coravin, as well. It really is a game-changer. 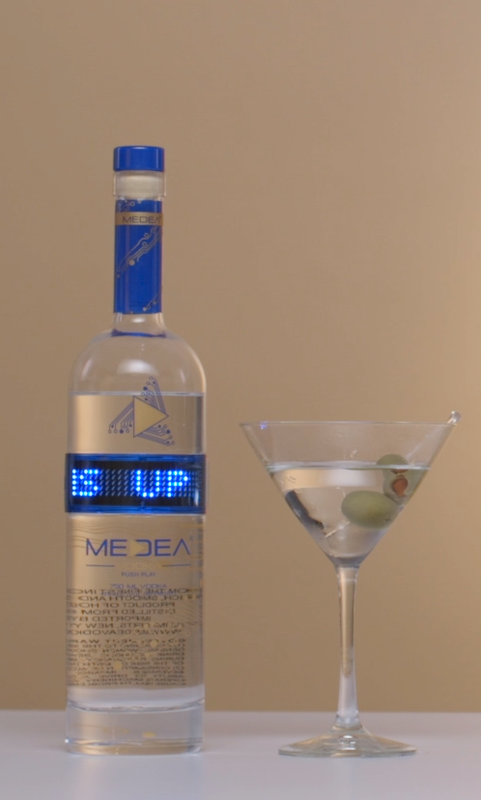 Medea Vodka: Program your message on the bottle or via iOS and Android apps. OK, OK. It’s a bit showy. And, sure, you can probably find more preciously crafted grain-based vodka than Holland’s $30 Medea. But look at it. It’s got a programmable, ticker-tape LED display. In blue. If you’re a common heathen, you can program your message (up to 99 characters) with buttons directly on the bottle. But if you’re a boss, you can program the LED with an Android or iOS app. The app holds 10 messages total, and the ticker will scroll continuously for 45 minutes before shutting down to save battery life. The vodka itself won a Gold award at the 2015 Los Angeles International Spirits Competition—this from a blind tasting that didn’t influence judges with all the LED bling. But you know what? Who cares. It’s vodka. Once you mix it with enough Kahlua or dirty olive water, no one can tell vodka from rubbing alcohol. But we know this is good vodka. And it comes in a dazzling package. And it has its own mobile app. So get up on that. We don’t know exactly how symGLASS delivers a glass-like experience via “engineered polymer.” We don’t have the secret formula. But we do know pubWARE offers the heft and visual gravitas of glass along with the non-shattery durability of plastic. The barware from symGLASS looks like the legit article, yet just won’t break. 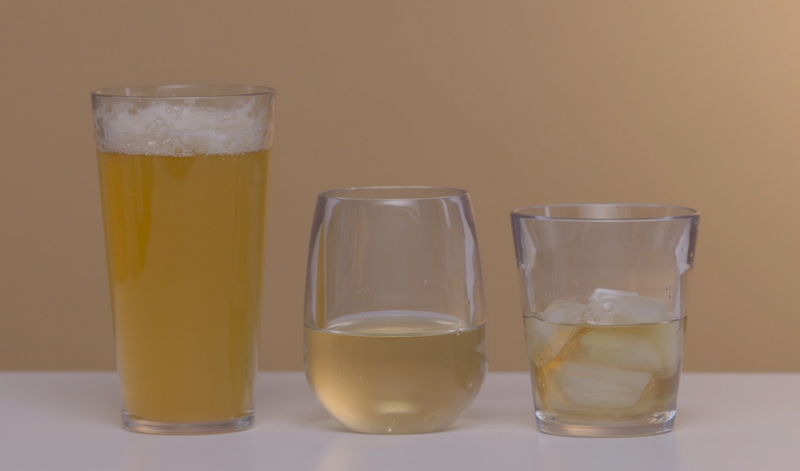 The drinkware was developed for commercial applications—bars and restaurants that break a lot of expensive glassware. But now the pubWARE line is available for consumers. It’s BPA-free, and won’t crack, haze, discolor or lose shape after multiple dishwashing cycles. symGLASS also keeps drinks cold, thanks to superior insulation. And it really does seem to be “unbreakable” as the manufacturer claims. We’ve clacked and banged on the pubWARE like maniacs, but it just doesn’t give. There are currently eight styles available, from 2.2-ounce cordial glasses (four for $25) to 20-ounce pub glasses (four for $55). So drink up. And throw some symGLASS around. We’re interested to know how much abuse these things can really take. Somewhere on the grand continuum of technology types you’ll find yestertech. Just look for high-tech, and then do a 180-degree about-face. That’s yestertech. It may not be fancy, but it’s still technology, and it’s usually infused with a certain DIY spirit. And sometimes it is a DIY spirit. Like, literally. Add white lightning and a bit of water. Wait three to six months. Enjoy. The $150 Woodinville Age Your Own Whiskey Kit comes with a two-liter aging barrel; two 750 ml bottles of 110-proof White Dog un-aged whiskey; two fancy-flutey tasting glasses; and a funnel. And that’s it. Ready to make whiskey? You basically swell the barrel with hot water to eliminate leaks; empty the water after a few days; and then pour in the white lightning, along with 12 ounces of tap water (bringing your hooch down to 86 proof). Now wait three to six months, sampling your whiskey judiciously along the way. Because the barrel is so small, the whiskey is exposed to much more surface area. Where a 53 gallon barrel might require many years of aging, your wee barrel will be ready much sooner. Just be prepared for some serious evaporation during the aging process. 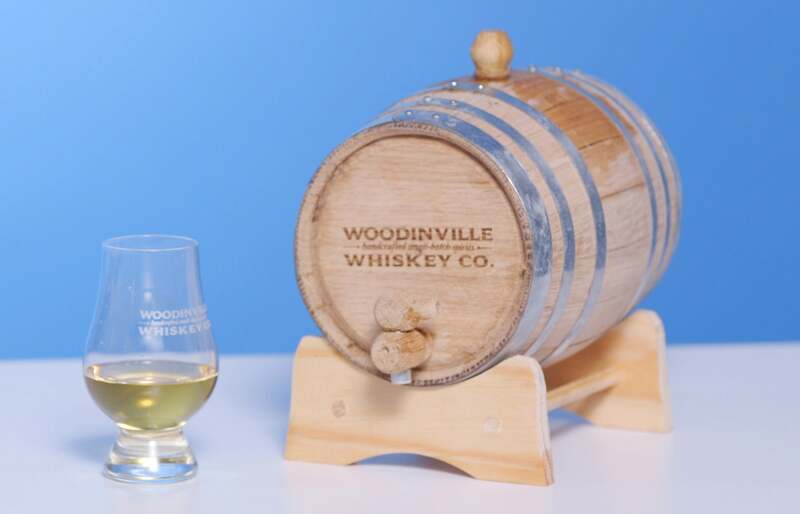 We’ve been aging our Woodinville barrel for just over a month, and the whiskey is already much, much more drinkable than the firewater we started with. But you know what we’re really interested in? Using the Woodinville cask for barrel-aged Manhattans: bourbon, vermouth and bitters, all in one fell swoop. You know who works 9-to-5 jobs? Poor slobs like me who don’t have the ingenuity to invent simple—yet still remarkably effective—gadgets like the Corkcicle and Chillsner. These two frosty wands keep your cold drinks cold, long after you’ve opened them. The Corkcicle.Air makes us cold just looking at it. Start with a little quality time in the freezer. The $25 Corkcicle.Air goes in for two hours, while the $15 Chillsner needs only 45 minutes. Now put the Corkcicle.Air in a chilled bottle of your favorite white wine. The faux icicle is made of BPA-free plastic that’s been filled with a special non-toxic freezing gel. Your wine will pour right through the spout, which also aerates your vino for enhanced flavor. But best of all, your wine stays properly cold—making the Corkcicle.Air ideal for summertime day-drinking. The Chillsner works similarly, but relies on stainless steel to keep your frosty beer cold. It fits inside standard 9-inch bottles—including soda bottles, naturally. And just remember: Regardless of how you use either device, make sure to first drink a bit of your beverage to make room for the wand. That shouldn’t be a problem, right? We’ve all been there: The six-pack is ready, willing... and stuck at a tepid 72 degrees Fahrenheit. Or maybe its that bottle of Sauvignon Blanc that’s come straight from the supermarket shelf. Your cans and bottles need rapid cooldowns, and now with the Cooper Cooler they won’t need a long visit to the freezer to reach drinkable temperatures. 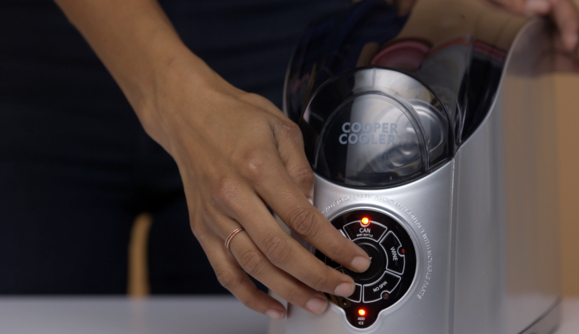 The Cooper Cooler can chill room temperatures cans and bottles in a flash. Fill the Cooper Cooler with ice and water, then choose whether you need on-demand cooling of a can, bottle or wine bottle. Now insert your warm drink, then let her rip. Your can or bottle will rotate over the ice bath, and cool down with remarkable efficiency—cans take one minute, conventional bottles take three and a half minutes, and wine bottles require six minutes. And don’t worry about carbonated beverages exploding. Because the containers rotate (as opposed to being shaken) they don’t suffer the kind of forces that excite CO2. Yeah, I know, I know: You don’t want another appliance taking up counter space. But you know what’s worse? Warm beer. OK, you’ve had your fun. Now is your moment of reckoning. 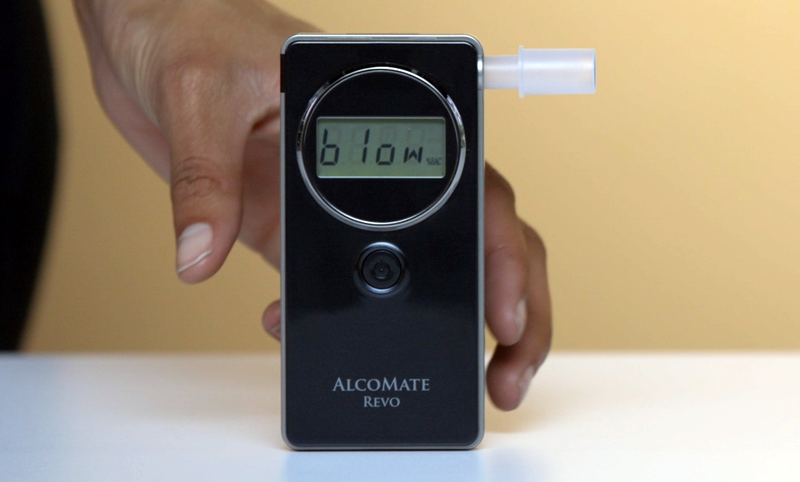 The $250 AlcoMate Revo is much more expensive than all the smartphone breathalyzers that have flooded the market, but you get what you pay for—even Department of Transportation and National Highway Traffic Safety Administration approval. The AlcoMate Revo is DOT-approved, and guarantees the accuracy of a breathalyzer that police would use in field sobriety tests. While the Revo’s data can’t be submitted as evidence in your own DUI defense, know that its sensor boasts the same levels of accuracy as the equipment the police use for field sobriety tests. The Revo also employs a patented sensor module that can be replaced by the user, bringing the unit back to “day one accuracy” (recommended after one year or 1,000 tests). This eliminates the need to send the breathalyzer back to the factory for re-calibration. The Revo is extremely easy to use. Just turn it on, give it a hardy blow, and then wait for your blood alcohol result to appear on the LCD. Just know that you can’t put anything in your mouth up to 20 minutes before taking the test. This is critical. Any type of food, beverage, gum, hard candy, mouthwash or even cigarette can lead to inaccurate results and damage the sensor. It should go without saying, but breathalyzers (even accurate ones like the Revo) should not be used to decide whether it’s safe to get behind the wheel. It takes time to metabolize alcohol, and a 0.06 reading at your office holiday party could turn into a 0.08 reading some 30 minutes into your drive home. My recommendation? Gather some friends, drink some fine wine and spirits, arrange for travel home, and then test the AlcoMate Revo under safe, accurate conditions. This will give you a better idea of what 0.05, 0.06 and 0.07 feel like. And this is data that can inform safe driving decisions down the road.